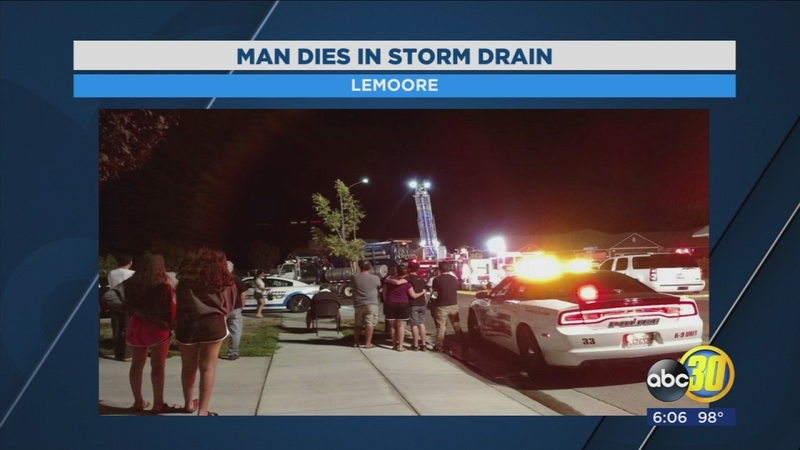 LEMOORE, Calif. -- A man is dead in Lemoore after he tried to retrieve a set of keys from a storm drain. It happened overnight near Spyglass and Augustus Drive. Investigators said the man lost his car keys in storm drain and decided to pop-off a manhole cover to look for them. During his search the man got stuck and several agencies raced to pull him out while residents looked on. Crews were able to recover the man, but he later died.